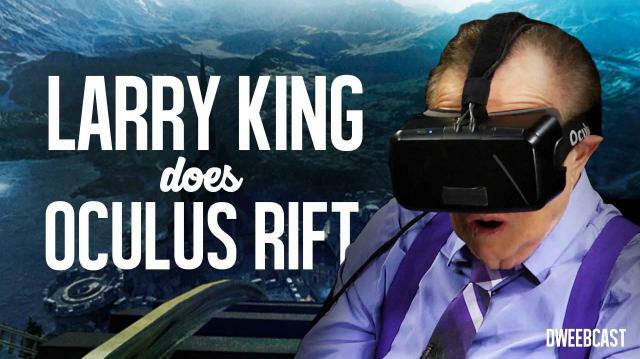 On this episode of DweebCast, hosts Andy Riesmeyer & Chloe Dykstra talk Larry King into experiencing virtual reality with the Oculus Rift. Larry takes on a virtual roller coaster and kisses an alien before wreaking havoc in Grand Theft Auto Online. GTA V Launch Party: iJustine & More! Oculus Rift Star Wars Death Star Trench Run!